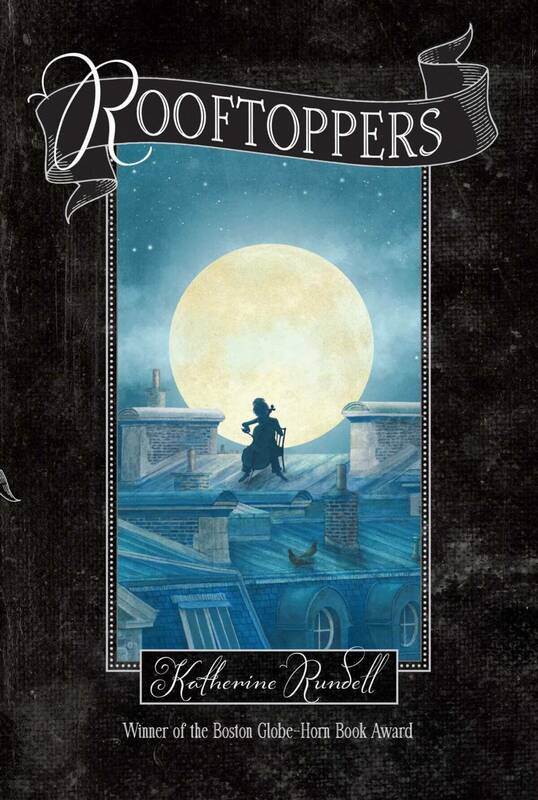 Rooftoppers by Katherine Rundell is my favorite book of all time. 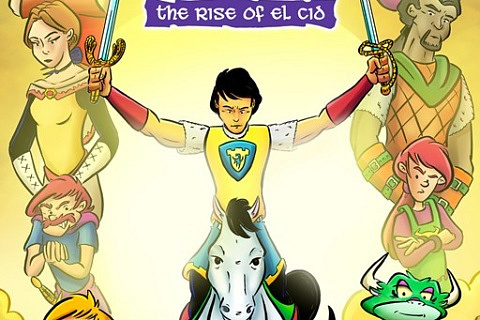 It’s an absolute must read for anyone who likes adventure, amazing details, incredible plots, and beautiful metaphors. The story is about a twelve-year-old girl, Sophie, who is being raised by a man in Victorian times. 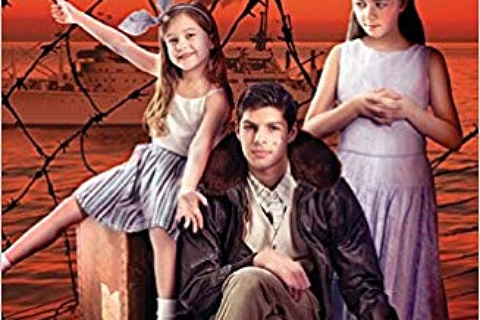 Charles finds Sophie, a shipwreck survivor, in a cello case floating in the middle of the sea. He raises her to be a smart, bookish, inquisitive girl—and allows Sophie to write on the walls and wear pants. The child authorities do not approve, to say the very least. So Sophie and Charles run away to Paris to find Sophie’s long-lost mother, who is believed to be dead. 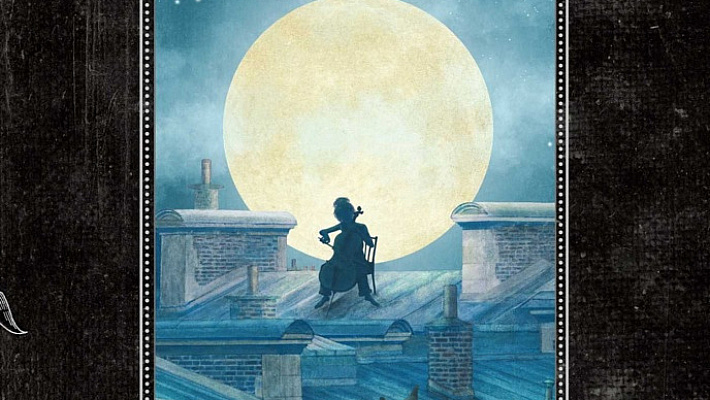 In Paris, Sophie meets Matteo and his band of rooftoppers, a group of kids who live secretly on the rooftops of Paris. The rooftoppers help Sophie in her quest to find her mother. One of the best parts about the book is that I’m pretty sure we can all identify with at least one of the characters. Some of us are like Sophie, and believe in something nobody else believes in. Some are Charles, who love to read and have a unique outlook on life. Some are Matteo, who “do not want too much human in their life.” And some of us know a dreaded Miss Eliot, who inspects Sophie and Charles’ house and makes commentaries on how they live, and crushes Sophie by telling her that her mother is dead, time and time again. Rooftoppers rotates around multiple themes. One theme is the true meaning of love. Even though Charles isn’t technically Sophie’s parent, he still loves her like he would have had she been his own kid. He protects her and sacrifices for her even though they aren’t related. Another theme is perseverance. Even though everyone contradicted her, Sophie goes on believing that her mother is still alive, and is determined to find her. 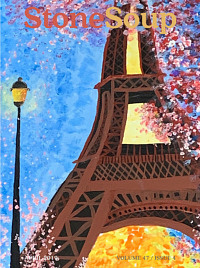 The rooftops of Paris play an important role in the story. Rooftops brought Sophie and Matteo together. Rooftops will lead Sophie back to her mother, if she is still alive. And, most of all, the rooftops are the place where Sophie has all her life-changing adventures. Every single time I read it, I want to be one of the characters. Rooftoppers is so well-written that I can’t stand not being able to experience the story for myself. I highly recommend it, and all the other books by Katherine Rundell. I guarantee you as soon as you read the first word, you’ll be hooked on the world of the rooftoppers. Rooftoppers by Katherine Rundell. Simon & Schuster Books for Young Readers, 2013. Buy the book here and support Children’s Art Foundation-Stone Soup in the process!